How does this compare to the demand for these services? 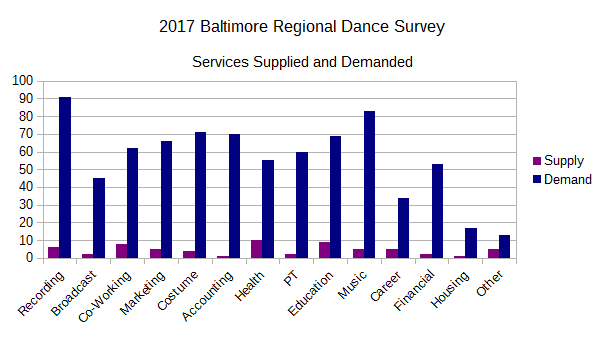 Well, first off, the demand numbers dwarf supply numbers – and that’s ok. As a dancer, you don’t need a one-to-one relationship with your accountant. 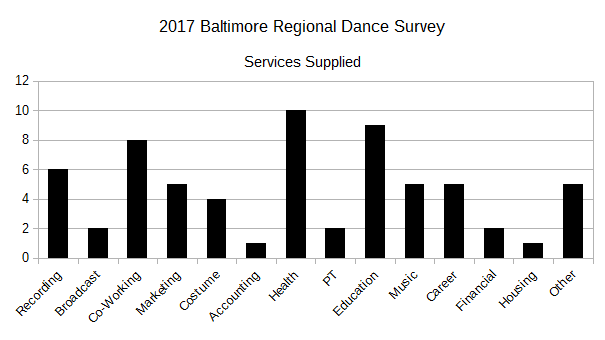 That said, it’s also not as easy as just being an accountant (or any other service provider) – some understanding of how dance works would help. 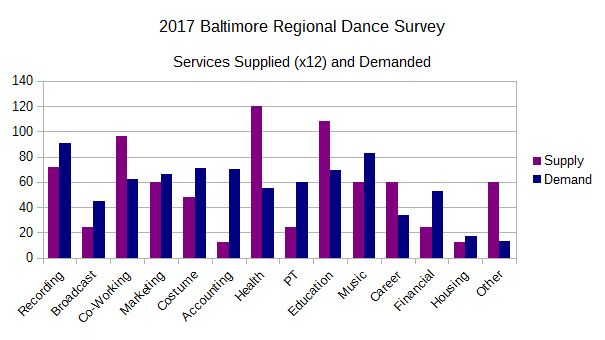 This does give some insight into how services might work within the dance community (dancers doing it for themselves), and where outside specialists might engage. Does this really mean anything? No, too many arbitrary leaps from too small a dataset, but maybe this is an indication of where to go in the future.